Pick up from Kochi International airport to Fort Kochi (46kms- one way), Fort kochisight seeing and overnight stay in Fort Kochi. Rest of the Sight-seeing in Fort Kochi, visit to Cherai beach and Narakkal fish farm and and overnight stay in Fortkochi (60 kms two way). Visit to Athirampally waterfalls, folklore museum, Hill palace, Tripunithura, Lulu mall and overnight stay in Fort Kochi - (225 kmsTwo way). 3 OR 7 Hours village backwaters cruise ( 26kms one way) away from Fort Kochi with group of other touristsand overnight stay in Fort Kochi. 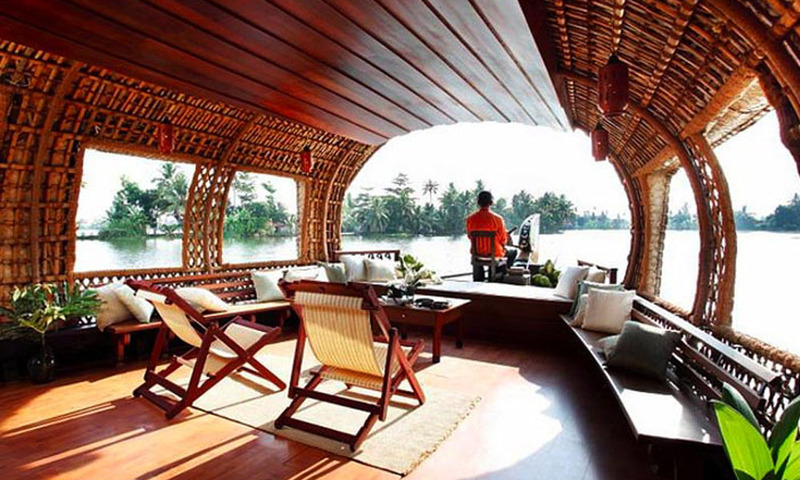 House boat overnight stay in Alleppey backwaters - 66 kms away (one way) from Fort Kochi. Drop off to Kochi airport (46 km) OR- Ernakulum Town OR Ernakulum Junction railway station (16 & 13 kms respectively) OR Ernakulum Public bus station (14 km). 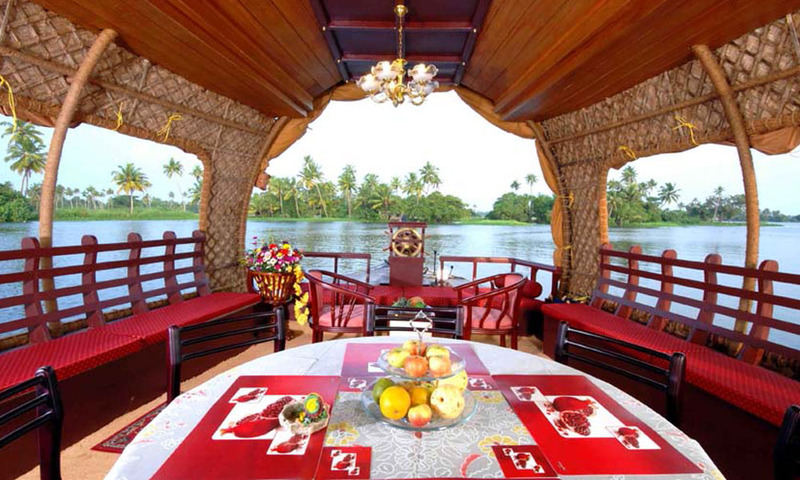 House boat overnight stay in Alleppey backwaters - (66 kms away from Fortkochi, one way). Check out from House boat and proceed to Munnar( 195kms one way), Sight-seeing and overnight stay in Munnar. Drop off to Kochi airport (130 kms) OR Ernakulam Town OR Ernakulam Junction railway station (130 kms and 132 kms respectively ) OR Ernakulam Public bus station (132 kms). Check out from House boat and proceed to Thekkady/Periyar (145 kms one way), Sight seeing in Thekkady and over nite stay in Thekkday . Rest of the sight seeing in Munnar and over nite stay in Munnar (Total 100 km sight seeing in Munnar). Drop off to Kochi airport - 130 kms - Railway stations - Ernakulam Town OR Ernakulam Junction - Ernakulam Public bus station- 136 kms and 133 kms respectively. Fortkochi to Thekkady( 190kms one way), sight seeing and over nite stay in Thekkady. Thekkday to Munnar( 130kms one way ) sight seeing and overnite stay in Munnar. Drop off to Kochi airport - 130 kms - Railway station - Ernakulam Town or Ernakulam Junction - Ernakulam Public bus station - 130 kms and 132 kms respectively. 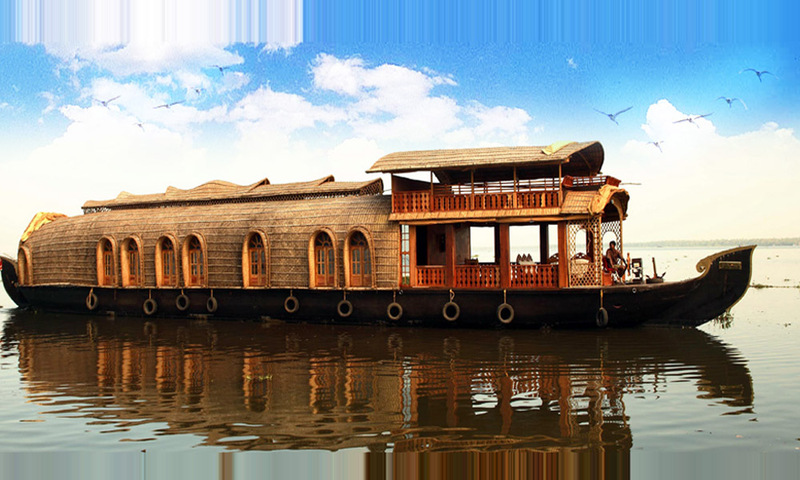 E) - 7 Days and 6 nights package- Fortkochi- Alleppey House boat ovetnite stay- Thekkady/Periyar-Munnar. Visit Cherai beach and Narakkal fish farm and overnite stay at Forttkochi. (60 kms two way). After checking out from House boat proceed to Thekkady (145kms one way) sight seeing and over nite stay in Thekkady. Thekkaday to Munnar (130 kms one way) sight seeing and over nitesaty at Munnar. Rest of the Sight seeing and Munnarovernite stay - Total (100 kms) sight seeing in Munnar. Drop off to Kochi airport - (130 kms)- Ernakulam Town or Ernakulam Junction Railway station/Ernakulam Public bus station - Public bus station- (130 kms) and (132 kms) respectively. 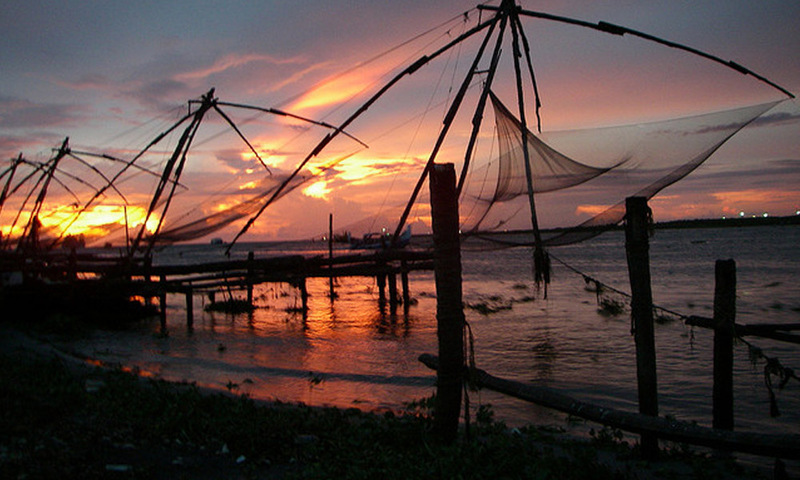 Pick up from Kochi International airport to Fortkochi (46 km one way), Forkochisight seeing and over nitesaty in Fortkochi. 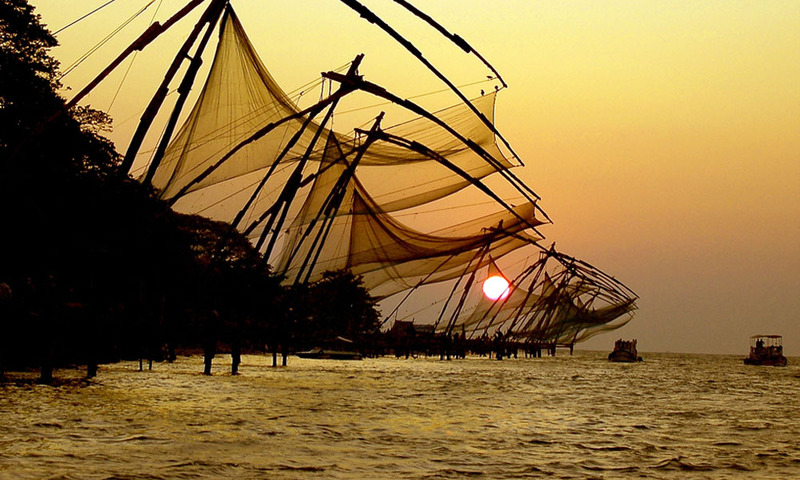 Sight seeing in Fortkochi, visit Cherai beach and Narakkal fish farm and overnite stay in Fortkochi – (60 kms) two way. Check out from House boat and proceed to Varkala beach, (135 km one way) over nite stay at Varkala. Drop off to Trivandrum airport – (68 kms one way) Varkala beach to Kochi airport (240 km one way). You will be staying at Homestays throughout the entire tour Kerala Homestay tour package, but if you wish to stay in any Hotel from the above mentioned destinations, please you can book your rooms directly and let us know about it to inform our Driver. We shall arrange an Air conditioned 4 seated with cab and driver for your entire or partial Kerala Homestay tour package. 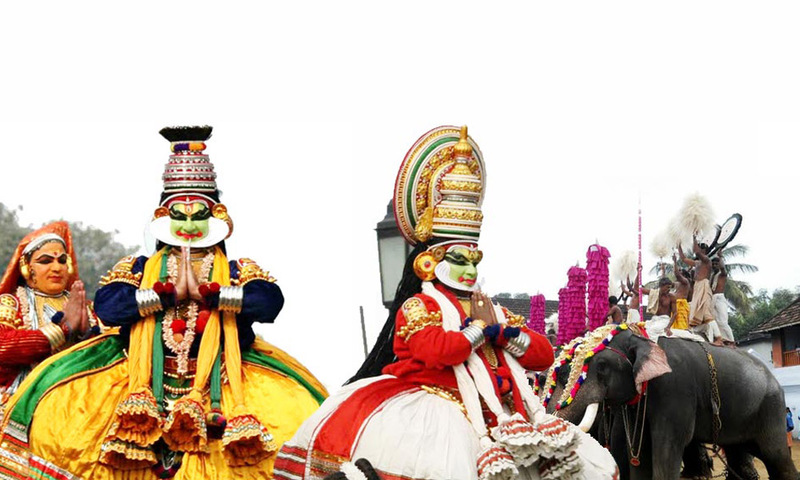 Our driver speaks adequate English and assuring you that he will be reliable, trustworthy, flexible, well behaved and familiar with all the destinations in Kerala. Please write to sajhomestay@gmail.com to avail your Kerala Homestay Tour Package with your desired category (Please mention: A, B, C, D, E, F) We are at your service and flexible, hence, please let us know, if you have any additional requirements or changes from the above given tour package. Driver's daily bata and fuel are inclusive in the package rate.